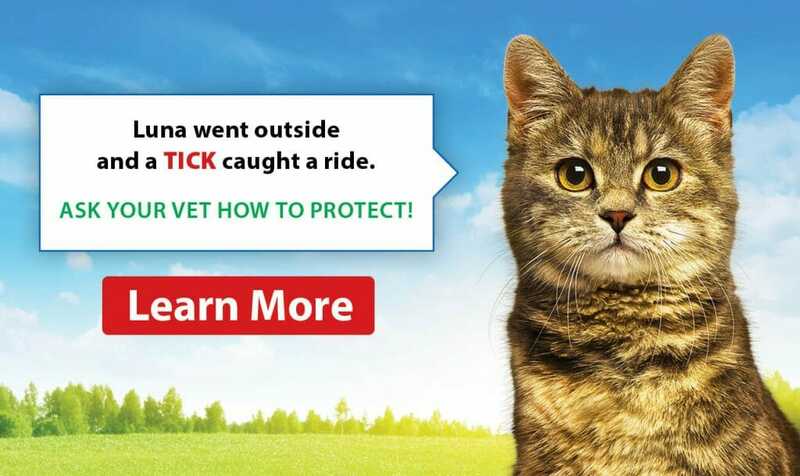 Cat nails should be trimmed about every 4 weeks the hind nails usually grow slower and can go about 6-8 weeks. If you have a polydactyl cat (has extra toes) make sure you get the ones that can grow in between the regular toes and the thumb. These can easily be missed and can grow all the way around and into the skin causing pain and infections. It is best to use cat nail trimmers and, so the edges cut cleanly and don’t cause splintering of the nails. 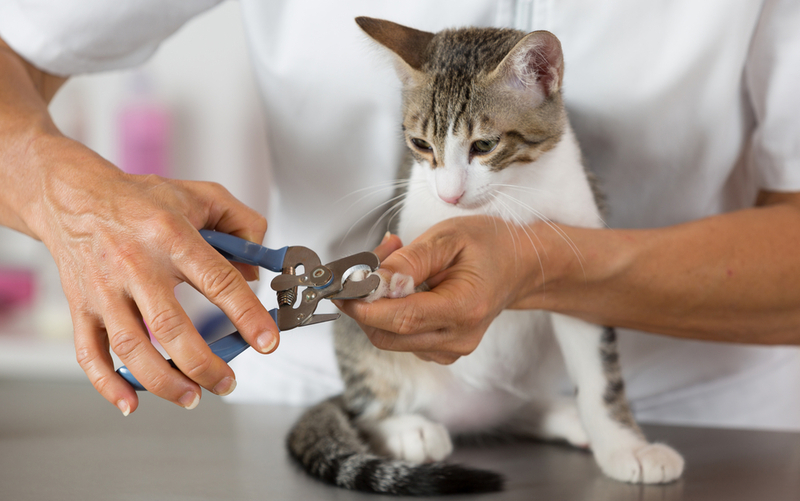 If you feel uncomfortable trimming your cat’s nails ask your Veterinary Hospital staff for a demonstration. When brushing or combing, use a wire comb for getting the undercoat and pulling out small matts especially in cats with longer hair. Brush or comb in the direction of the haircoat. 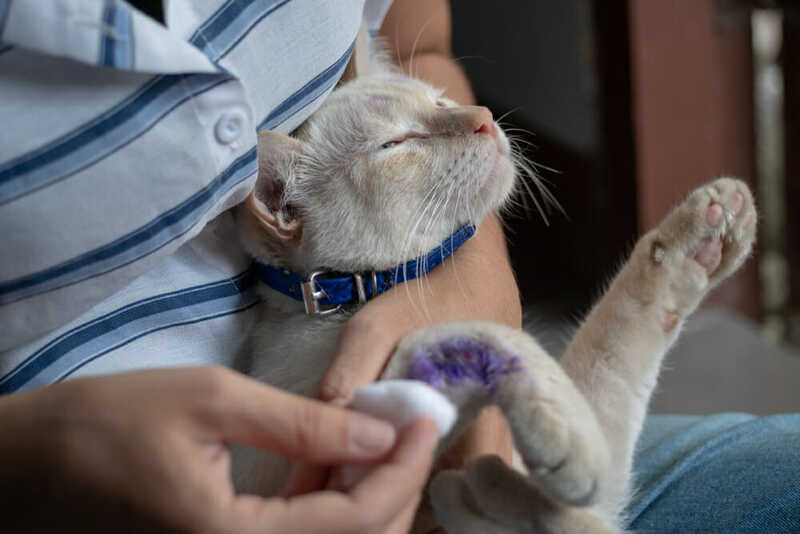 Older cats often have arthritis, and it is best to use a rubber brush or even grooming gloves to remove loose surface hair. Some cats enjoy the grooming while others will run when you take the brush out. If you have a cat that detests grooming start with short periods of only a couple minutes with a grooming glove, it feels more like petting. It can also help to give a treat after it makes it a positive experience. If you’re lucky you should never have to bathe your cat, most of the washing they will do themselves. However, you must bathe your cat make sure to use a cat/pet specific shampoo. 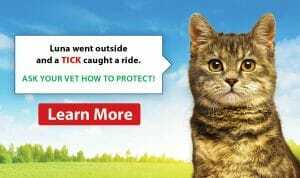 One other option is a product called Kleen Kitty no rinse shampoo that you can spray directly on your cat or spray on your hands and run your fingers through their coat. You can also purchase a leave-in conditioner; both are available from our Veterinary Hospital.